Dorset is a county in South West England on the English Channel coast. The county town of Dorset is Dorchester. Dorset borders Devon to the west, Somerset to the north-west, Wiltshire to the North-East, and Hampshire to the east. Limo hire in Dorset has increased in popularity in the last few years and now has a large selection of limousines available to rent. This includes huge hummer limos, Excursions, Baby Bentleys, red Fire Engines and an unrivalled selection of super stretched Lincoln limos (available in pink, blue, white and black). 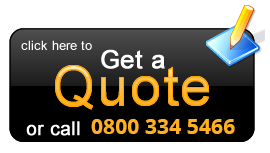 To find out more about limo hire services in Dorset, contact us today. There is plenty to do and see in Dorset which is famous for its beautiful coastline, the Jurassic Coast, which features landforms such as Lulworth Cove, the Isle of Portland, Chesil Beach and Durdle Door. Limotek.co.uk covers limousine hire in many areas of Dorset including Poole, Bournemouth, Weymouth, Swanage, West Bay and Lyme Regis all fantastic seaside and holiday resorts. Some major attractions worth seeing with Dorset limo hire include Sherborne Castle, built by Sir Walter Raleigh, Mapperton House and Gardens of Elizabethan origin. There are plenty of shops in Dorset if you're looking for some retail therapy. 95 miles of East Devon and Dorset coastline is ranked as a World Heritage Site status making the Jurassic Coast alongside the Grand Canyon and Great Barrier Reef as one of the natural wonders of the world. There is plenty for the kids and the whole family in Dorset with attractions such as the Lyme Regis Museum, Dinosaurland, the Dorset County Museum, the Dinosaur Museum in Dorchester, the Tank Museum, the Haynes Motor Museum and the animal park at Kingston Maurward. You are spoilt for choice for things to do and see in Dorset and you can hire a limousine for any reason. Why not rent a beautiful Baby Bentley limousine to visit Sherborne Castle, a traditional white stretch Lincoln for a shopping spree in one of the many Dorset towns or maybe a fantastic hummer limo to take the kids for a trip to the Dinosaur Museum or Tank Museum in Dorset. Whatever the reason for limo rental in Dorset, Limotek has a vehicle to suit your needs. Contact us for amazing limo hire deals in Dorset. 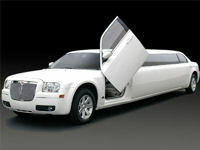 Limousine rental in Dorset can be used for any occasion. Black or white hummers, Excursions or Lincoln Navigator limos can all be used for a stag party whilst pink hummers or pink limousines will make your hen night in Dorset special. Wedding need a vehicle with class and style, something that the beautiful Bentley limousine certainly has. Fire Engines, Porsche Cayennes, BMW limousines are all great pressents for someones birthday and black stretch Lincolns are available for a corporate event in Dorset (or the new Audi Q7 limo if you prefer). We also cover airport transfer limos from Dorset to any major UK airport at prices that rival some taxi firms. For limousine services in Dorset for all occasions, contact Limotek today. 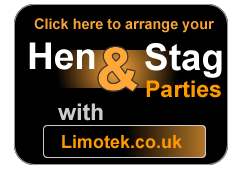 Limotek has searched all over Dorset for the best operators and the finest limousines. We are proud to be associated with our Dorset operators as they provide a first class service matched only by the quality vehicles they have at their disposal. To experience a high class service and some superb limousines, contact us today.